Aside from the internet, tv is one of the easiest ways to get a heads-up on pop culture trends and potentially jumpstart your own creativity. With the overabundance of wedding planning tools, sometimes something as simple as wedding reality tv shows can go overlooked, when in fact they can easily act as a visual aid for ideas (both good and bad) and be a super fun way to be productive in your planning. Your Denver wedding planner Blue Linden has put together a list of the most popular, must-watch wedding themed tv shows that can become useful wedding planning helpers, and possibly your secret guilty pleasures. According to the show's site Say Yes To The Dress is "part bridal story, part fashion makeover, and part family therapy session." Based out of a Manhattan bridal salon, this show's main focus is on a bride choosing her perfect dress. When it comes to wedding reality tv shows, this is by far the most popular. My Fair Wedding (now titled David Tutera's CELEBrations) is one of those wedding reality tv shows that helps brides see exactly what a wedding planner can do with only 3 weeks before the big day! Naturally, we love this one the most - because just imagine what we could do for you with even more time! 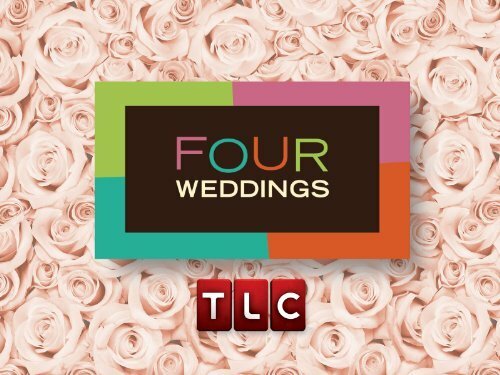 When four brides compete for a dream honeymoon by attending and rating each other's weddings, you've got yourself the show Four Weddings. You don't get much of the wedding planning process, but you definitely get to see the end results of all the hard work. Another of the wedding reality tv shows that centers around the wedding dress choosing, I Found The Gown is about finding designer gowns at bargain prices. It's a great opportunity to see what dresses fit what body types, as well as ideas of where to hunt for bargain deals of your own! Bridezillas is the first of the wedding reality tv shows to become popular. It follows the wedding planning process from engagement to big day and shows all of the ups and downs experienced by the bride-to-be and those closest to her. 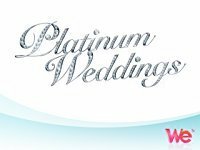 In the world of wedding reality tv shows, Platinum Weddings deals with the over-the-top and extravagant side of wedding planning. While these types of weddings may not be reflective of the average couple's budget, the show can certainly provide inspiration and perhaps help you kick into "knockoff" mode for your own big day! It's worth mentioning that while not solely wedding themed, shows like Cupcake Wars or those revolving around DIY can prove beneficial in the wedding planning process as well! Of these, which is your favorite? Did we leave any out? What kind of amazing ideas have you pulled from these wedding reality tv shows? Share with us by reaching out using the social media buttons below!